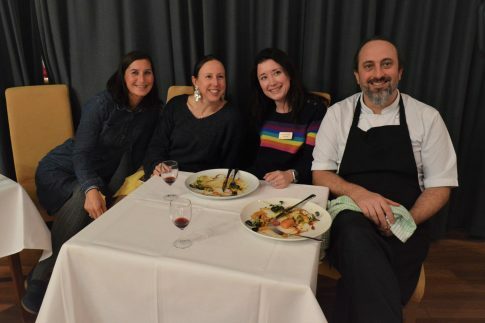 Local New Forest chefs competed against a team of London chefs in a culinary challenge held at Brockenhurst College recently. The event, aptly named ‘Strictly Come Dining’ saw both teams demonstrate their culinary expertise to become the winner of the coveted ‘Glitter Spoon Trophy’. 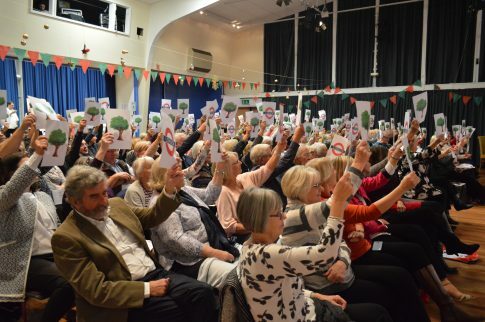 The evening was presented by BBC’s Jon Cuthill and raised £3,500 for the Wessex Salon Culinaire, a national competition for up and coming chefs to be held at the College in May. 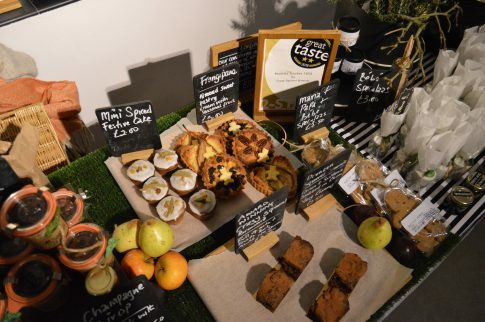 Chefs worked against the clock to create a starter, main and dessert to win the votes of the judging panel which included BBC’s Rebecca Parker. 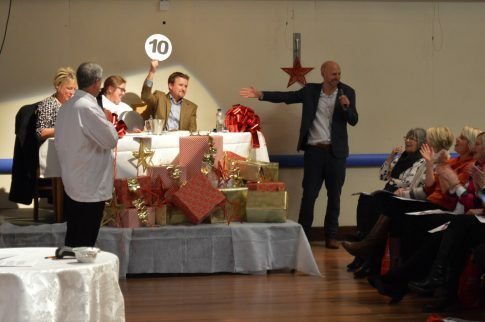 A second plate of each dish was given to the highest bidder from the audience. 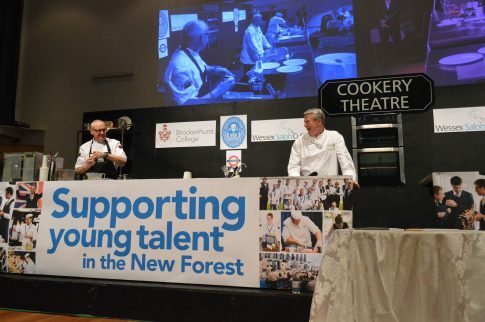 The New Forest chefs team included Luke Holder (Head Chef at Limewood) Andrew Gault (Head Chef at The Captain Club Hotel) and Allan Collier (former Pastry Chef at the Ritz and Brockenhurst College tutor). 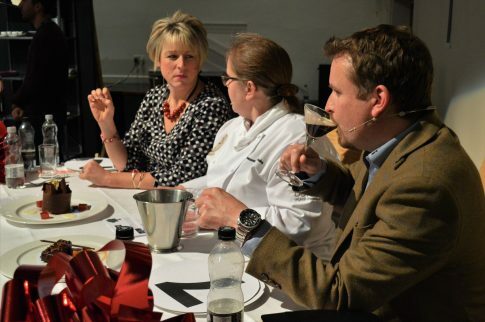 The team representing the London Craft Guild of Chefs included Steve Scuffell (Vice Chairman of the London Craft Guild of Chefs), Ruth Hansom (Winner of Million Pound Menu) and Matt Owens (Culinary Olympics Gold Medallist). After the first two courses, the teams were tied but it was a Vegan Clementine & Chocolate dessert prepared by Chef Matt Owens that stole the show and crowned team London the winners. Hospitality students from Brock were on hand throughout the evening to assist the chefs and serve guests with complimentary wine and canapés. A number of stallholders were also onsite allowing guests to do some Christmas shopping before the demonstrations kicked off. The evening concluded with a final auction of some sought-after prizes including a private chocolate making class with Chef Allan Collier and a 6-course tasting menu at the Balmer Lawn Hotel.